Geothermal heating and cooling systems are sold to homeowners and building owners with a focus on how their system will improve their lives. The direct benefits and individual case is a critical part of making the sale but its not the only set of benefits you should present. Don't forget that many consumers interested in geothermal are often just as interested in the big picture truth that geothermal can change the world. Every GSHP system improves our energy future and here are some numbers to help you back that up. The United States uses nearly 25% of the world’s energy but only represents about 5% of the world’s population. At the residential level, more than 70% of home energy use is for space conditioning and hot water generation. A 2010 study from Oak Ridge National laboratories found that if we could convert every single family home in the U.S. to using geothermal for heating, cooling and hot water generation, it would save 4.2 Quadrillion Btus annually (4,200,000,000,000,000 Btu for those who need to see the full number...that’s a lot of commas). This is based on reducing the consumption of all forms of energy for space conditioning and hot water heating (natural gas, propane, oil, electricity, etc.). That amount of energy is equivalent to 1.2 trillion kWh (1,230,898,494,723 kWh). For perspective, the total residential sales of electricity in the U.S. amounted to 1.4 trillion kWh in 2015. Not a bad start to reducing energy consumption. Even compared to homes using electricity for heating/cooling, geothermal emits less upstream greenhouse gases simply because it consumes less energy. Check out the estimated difference below. According to the EPA, the average house is responsible for twice as many greenhouse gas emissions as the average car. Based just on the pure energy savings GSHPs clearly translate to a massive reduction in greenhouse gases (GHG). Oak Ridge National laboratories puts the estimated CO2 reduction at 271.7 million metric tons annually. According to EPA estimates that is equivalent to taking 58 million cars off the road. Oak Ridge estimates that at 100% adoption for single family homes, homeowners could save as much as $52.2 Billion dollars per year with geothermal. That is a stack of one hundred dollar bills 35 miles tall. That is A LOT of Benjamins. 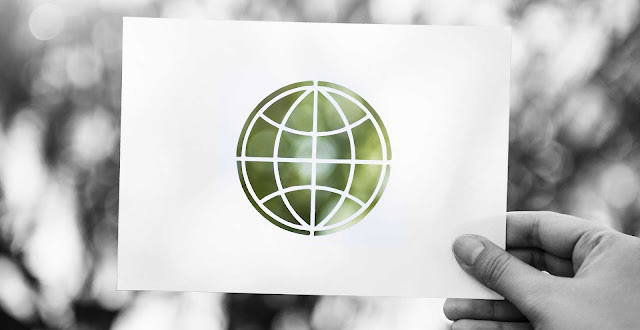 If the world really wants to take a bite out of greenhouse gases and get a handle on global energy consumption, geothermal heating and cooling brings us a long way towards that reality. Solar, wind and every other green technology that is kicking the pants off of geothermal in sales falls far short of the impact that can be realized with geothermal alone. More importantly, geothermal supports all of the other renewable energy technologies. Solar and wind proponents should be screaming from their rooftops for the world to adopt geothermal. Because geothermal automatically drops off the peak summer demand by at least 30% which means a larger percentage of the national baseload can be generated by renewables. Depending on who you ask, the estimated geothermal market share currently hovers around 1-2%. Imagine if we could bump that to 5% by replacing half of the propane and oil furnaces in the U.S. It would save the homeowners money, save an astronomical amount of energy and reduce GHG significantly more than those same homeowners buying electric cars. Geothermal is the right technology to reshape our energy future. It’s a shame we have to bury it.